If you’re searching for parking garage cleaning in Maryland, DC or Virginia, then chances are that you own a commercial property with a parking garage but don’t know who you should turn to in order to have it cleaned and maintained. If you want to know more about what parking garage cleaning services entail, or if you’re curious about parking garage repair or parking garage restoration then keep reading this article. This article talks about everything you need to know regarding parking garage cleaning. As the owner of an establishment with a parking garage, you already know that its upkeep is just as important as the maintenance of your other properties. Many times, the state of the parking garage makes an immediate impression on tenants, clients and whoever else visits your property. It can influence how they see your business. Your obligation to them, as a result, is to make sure that not only is the garage safe, but that it’s clean as well. With a proper parking garage cleaning in Maryland, you can do just that. When you contract a company to clean your garage, they will often do so using methods similar to other jobs like warehouses and other commercial buildings where they resort to an industrial floor cleaning in order to get the job done. 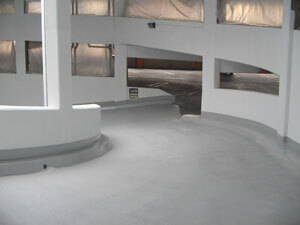 Using high pressure washing, specialized cleaners and other methods, experienced parking garage contractors can remove things like oil stains, tire marks, spray paint and other unsightly and potentially dangerous blemishes that stain the grounds of your parking garage. Through their work, they make your property as pristine and presentable as possible. When considering a contractor to carry out the parking garage cleaning that you need, there are a number of things to keep in mind. Above all else, you want to deal with a company whose contractors are both licensed and experienced. By making sure that the contractors performing the work on your property are skilled enough to handle the work given to them, you have assurance that they’ll get the job done as efficiently as possible without sacrificing quality. Versatility is another important trait to keep in mind. While working, it’s entirely possible that the contractors may come across other issues. Because they’re working in a parking garage, things like cracks in the property’s concrete surface may come up. If this is the case, then the same people who clean your garage may be able to perform repairs as well. Keeping this in mind is important because you’ll want to catch these sorts of problems early on before they have the chance to develop into much bigger problems that could cost you even more money. Who Should I Choose For Parking Garage Cleaning? Any contractor that you consider hiring for garage cleaning should represent a company that is experienced in that area as well as number of other concrete services, in case other issues come up that you want to be addressed while your garage is being cleaned. If you’re currently searching for a company that meets these criteria for your garage cleaning needs, then consider contacting Concrete Restoration Services. If you live in the MD/DC/VA area then you can call us at 301-261-4933 and speak with a customer service representative. They will help you address all of your parking garage cleaning Maryland needs.